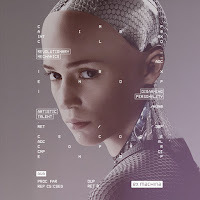 Do you remember Hollywood movies Terminator: Rise of Machines or Ex Machina where facial recognition technologies are used in several ways? Today with digital technological advances, face recognition has become very important for businesses, to know who the customer is and send hyper-personalized offers to generate more revenues. Facebook has used facial recognition technology since 2011, to speed up the process of tagging friends or people in photos. When a user uploads an image to Facebook, the site’s algorithms recognize the faces of friends and asks users if they would like to tag them. 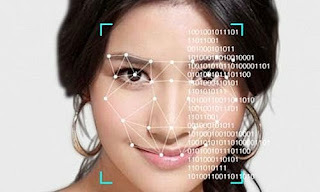 Security agencies were also early adopters of face recognition to identify suspicious behavior & threats to any big event or crowded areas like airports. Now some of the airports have installed facial recognition for smooth passenger movements through immigration hall, security, and arrivals. Now even iPhone x has the face recognition to unlock it. Face recognition is done by applying deep learning algorithms on the faces to detect faces and identify a person. Businesses from every industry are using face recognition to increase revenue & improve customer experience. They can measure how many people are there, how do they feel in your stores/premises, are you reaching the right people and are they interested? Banks are using it for KYC and verification of customers. In the Retail industry, AliPay from Alibaba has introduced facial recognition software for online payments service “smile to pay”. With this new technology, you would simply scan your face with your smartphone camera to place your order. Tesco plans to install screens in petrol stations that will scan customers’ faces to determine their gender and age so it can run tailored ads. Finding Rover is an app that lets owners post pictures of lost pets in hopes of reuniting them with their owners. Using facial recognition software, the app matches photos and alerts owners when their pets are found. Helping Faceless is an app created to help find missing and kidnapped children and reunite them with their families. Users can input the date and location the person went missing to narrow search results. Wal-Mart has tested facial recognition software FaceFirst as a way to prevent theft. The technology scans the face of anyone who enters a store and identifies any suspicious people and potential shoplifters, instantly alerting store security on their phones.